This weekend I was in Norman and I found myself in a Barnes and Noble with a 15% off coupon (plus another 10% off for the membership discount) and a $25 gift card all burning a hole in my pocket. The combination of these things meant that I was a man in need of a new book. The book I picked up, and ended up purchasing was The New Christians: Dispatches from the Emergent Frontier by Tony Jones. I found myself with some unexpected, but very much appreciated, down time on Friday and read a large chunk of this book in one sitting. The New Christians is an engaging book that provides a helpful introduction to Emergent, from a few different angles. Jones, who is the national coordinator for Emergent Village, is ideally situated to provide many of these perspectives. In the first chapter Jones discusses problems with the “Old Country.” One of the things that I appreciated about this chapter was that he critiqued both the problem on the left and right. The next chapter, “Dispatches from the Frontier of the American Church” is probably my favorite of the book. Jones gives a sort of insiders narrative description of how Emergent came to be. He is honest about disagreements and points of departure (particularly with Mark Driscoll) with others in the movement, especially as it has developed. In the books that I have read about Emergent, I had not previously read a narrative chronology of the development of the movement that was as helpful as this chapter. Bad theology begets ugly Christianity (103). Jones concludes the book with case studies of several Emergent congregations, which helps to provide a glimpse in the variety and breadth of Emergent practice. I have been happy to gain a deeper appreciation of how much these people care about and are committed to the Christian faith. I don’t sense that they are trying to lead people away from Christianity, but simply speak a language that other people can relate to. I think they are meeting a real need and creating the space for people to hear and respond to the gospel. Many Emergent Christians are living much more committed and dedicated lives than many of the conservative Christians who criticize them. I have especially appreciated Dan Kimball‘s theology, the more I have been exposed to it. So, what are your thoughts? I am particularly interested in what ways you think Wesleyans can respond to or be a part of the Emergent conversation. What contribution do you think Emergent has to make to Wesleyan practice, or how could Wesleyan theology/practice inform Emergent? I’ll have to check out the book. BTW, I was already listening to Tony Jones’s podcast when I started reading your blog. Dee – Thanks for stopping by. I hope you enjoy The New Christians when you get a chance to read it. cool recap. when our new local b&n opens i was going to go pick up a copy and chat with some of the youth have gotten jobs there. till then, i just get reviews. i consider tony a friend. we don’t talk on the phone all the time, but if he is in town a group of us talk of catching up. the business takes people out of the accessibility range, but at the heart, folks like tony & brian (whom i know somewhat) are just tickled to hang out. i know jay brought brian over to a youth concert we were having in the midst of last years festival of homiletics in nashville. he was just like a youth leader hanging out enjoying time with the kids. no-mega author in him then. it is a sad that he, as with a rick warren or other celeb pastor get put so high they can struggle to be normal people. Gavin – Thank you so much for sharing your perspective on the accessibility part of my thoughts. I have never met Tony Jones or Brian McLaren, but I would affirm what you have said without hesitation from all that I have heard about them. And I have also noticed that any time you post about something related to Emergent, that is by far the most likely time the person you are actually referencing will show up on your blog. I can’t think of a better way to spend a B&N gift card! Seriously, glad you like the book. I hope we get to meet sometime. I agree with you. I usually say it this way. Belief begets behavior. Which is why doctrine is important. However I wish to qualify one aspect. Doctrine as an intellectual pursuit is not the same thing as belief. The word the epistles use that I think holds this idea is epignosis. To me it speaks not of just correct knowing but a knowing that is born out in experience. Our doctrine should be proved by our experience. Or to say it another way, to have power our doctrine must be acknowledged in our lives with Christ’s power. I spent a few years working among the Mormons in Utah. One thing I learned there was that if the doctrine gives me no power for Christlikeness I tend to ignore it. Blessings to you and thanks for sharing. Hey Kevin, I’ve been wanting to read that as well. Cool that you got a shout out from the author too! Tried calling you today, but all I could find is your Church number. Thought it’d be cool to catch up. I’m crazy busy the rest of this week, so shoot me an email sometime and let me know how you’re doing. By the way, which Bishop’s retreat are you going to attend? I’ll be at Canyon the week after Easter. Let me suggest several points of contact between Methodism and the emerging missional way. 1) An ecclesiology of church as network rather than as congregational format only, small group format only, or either of them centrally. The General Rules point precisely in this direction. While all of the Rules were lived out in the context of the class meeting and society structures, Rule 3 required an ongoing and lively connection with a congregation at worship and in other ways as well. Early Methodism created the “network church” very intentionally and directly. It is more of an emergent reality– that is, something that seems to be developing organically as organic groups, house churches, congregationally formatted groups, neo-monastics, and community organizations find each other and figure out what sorts of relationships they want to have with each other. 3) An ecumenical and parachurch character to the movement– Early Methodism was both explicitly ecumenical and explicitly parachurch. 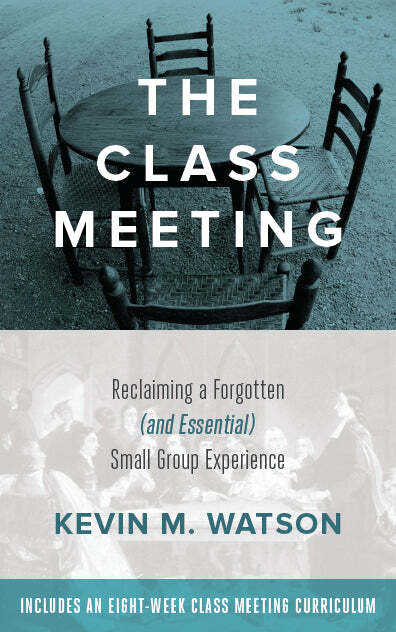 Class meetings could include (and did include) people from various Anglican parishes and congregations of other denominations. And all of these were parachurch– in the sense that they were outside the structures of parishes, congregations and denominational/ecclesial structures (bishops, synods, etc) per se (though the societies may have had a connection to some particular parishes or congregations as chapters of other parachurch groups). Both are important to remember, and both are important to sustain in the emerging missional way in general and in any new try at Methodism in our own day in particular. Emerging missional leaders are finding in our own day much of what the Wesleys were finding in theirs– namely, that the congregational and official denominational structures of the existing churches were incapable of forming disciples well, much less sending many of them into mission– that is, unless the mission were to serve as leaders within the institutions themselves (clergy, lay parish leaders, etc). Trying to address this from within the systems was thus futile, and the Wesley’s didn’t do it. They did not try to start new congregations. They did not try to change the politics or the structures of the Church of England or other churches from the inside. Thus they went parachurch, and ecumenical. They expanded the vision of church from congregation/ecclesial authority to a network including a robust discipleship/mission sending system. That system stayed connected to the churches, but was in no real way controlled by them. It was not parachurch in a way that disconnected people from congregations, but rather repurposed them and revitalized them for service beyond AND in congregations. And it did so fairly indiscriminately– with clear enough doctrinal boundaries (predestination and the notions of once saved always saved were not to be taught as they appeared to be contrary to keeping people striving toward entire sanctification) but even clearer standards for participation– EVIDENCE of lives displaying commitment to the General Rules. Those are just a few… there are many more. The emerging missional way is in many ways a 21st century manifestation of much that the Wesleys were initially doing. We have much to learn from each other. And much to offer each other. Hello! I am happy to have found your blog and to meet another fellow UMC pastor. I saw your “shamless plug” for the book you have co-authored and will have to check that out, as well as this particular one by Jones. I am an MDiv student at Duke right now and just had a wonderful class with Paul Chilcote on Making Disciples in the Wesleyan Tradition. We read one of his books, “The Wesleyan Tradition: A Paradigm for Renewal” and I wonder what sort of interplay there might be between that and your book? That might make for an interesting conversation. Taylor has made some very insightful inroads between Methodism and Emergents above, all of which I think are spot on. 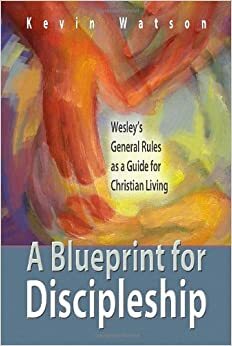 I would also add that Wesley was a stickler for emphasizing one thing in particular (well, 2 things if you want to be picky) above all else: Love of God and neighbor. It was on this twin foci that Methodism was born, and it is on these twin foci that I see (much to my delight) the Emergent church aspiring to reclaim. What is interesting to me is where we see this – “this” being the greatest commandment according to Jesus – breakdown in how certain people tend to define how “love” is lived out. Some people (and I’m sure you know these people) argue forcefully that real love, the kind of love Jesus was talking about, is passionately concerned with the eternal status of people’s souls and real love is therefore tough love – we must tell them the truth about their dismal state before God and urge them to repent. If we don’t do that, we aren’t loving at all. This view of love is one that has clear lines of demarcation where there is right and there is wrong, black and white, and the more “right” you are the more “loving” you can be. …but there is another way. Wesley, as I’m sure you know, had a very different view of love. Sure he believed in doctrine and repentance and confession – but love for Wesley had a far more tangible and earthy feel to it than just being able to argue your way through a systematic theology book. Early Methodism had an on-the-ground approach to love and it sought nothing in return. Love was given to fellow neighbors and enemies alike not because we hoped to convince them we were right and they were hell-bound but simply because we are serving the fellow bearers of the image of God and this is the right thing to do. It is my belief that emergents capture this aspect of love in a beautiful way, must to the consternation of their fellow brothers and sisters on the other side of the aisle.